Looking to improve Charlottesville remote home security, or add keyless entry to your commercial location? 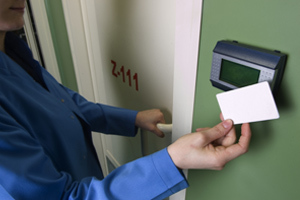 No matter what your needs are, you should know that Appalachian Home Technologies has great access control options for every house, business, and budget. Drawing on more than a decade of experience with Richmond VA home and security automation, we use proven technologies to keep unwanted visitors away, all while increasing convenience for yourself, your loved ones, and your partners or employees. That’s important, because a Washington DC remote home security system won’t do much good if it’s complicated or hard to use. We focus on simple, effective strategies that keep you safe. Aside from keeping intruders away, and possibly lowering your insurance costs, AHT Fredericksburg home and security systems can also let you keep an eye on things while you’re away and alert you to unseen dangers like fires and carbon monoxide (CO) poisoning. And of course, when burglars see that your home is protected by a top of the line Richmond VA remote home security package, which can include keyless entry and access control platforms, they are likely to turn their attention elsewhere. There is never a bad time to give yourself and the important people in your life a little more safety and protection. And investing in access control with a Washington DC home and security package is a small commitment to make for what you get in return. Why not get in touch with AHT today and see how we can use today’s best technology to secure your home or business?